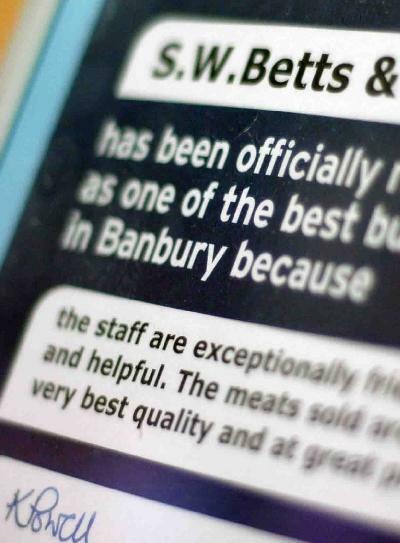 It takes a very good reputation to become as well known in Banbury as Betts, but 23 years on and over 4000 customers per week people are still saying great things about us! We hope you can visit us in Banbury soon - or why not try our new Home Delivery service? 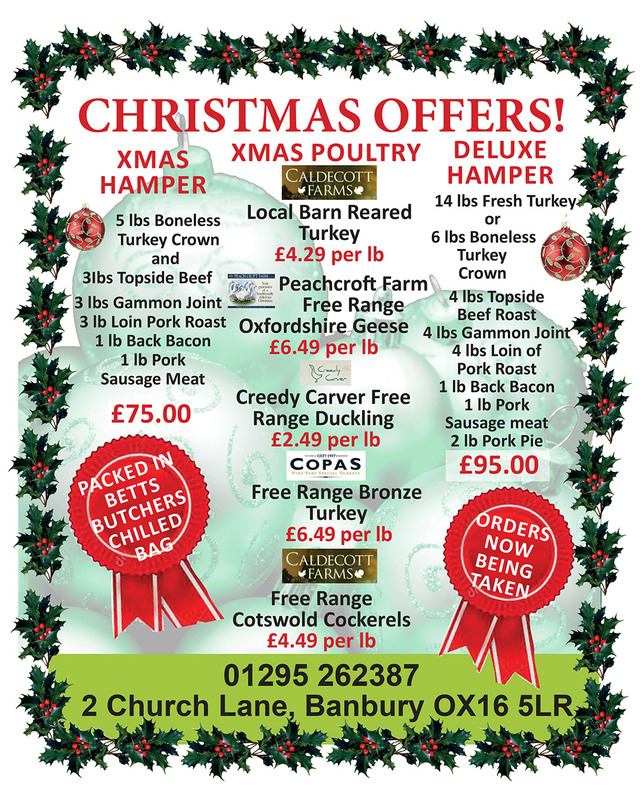 We offer a fresh meat delivery service to homes, schools and restaurants in and around Banbury. Would you prefer deliveries in the evening? Visit the Home Delivery page for more details and our order form. We are always happy to help so please contact us if you have any specific requirements. We are delighted to now stock Strouds Beef. Bill and Mark Stroud are based in Marsh Farm, Chacombe and have been producing cattle of the highest quality for many years. Why not try this fantastic local alternative to your usual supermarket meat? Time to settle down to a cosy winter warming meal.